Use the Search box to fine your favorite Beer, or use the buttons below to search our Wine and/or Liquor Inventory! One of the largest collections in the state of Colorado! Here are our special sales for this month! 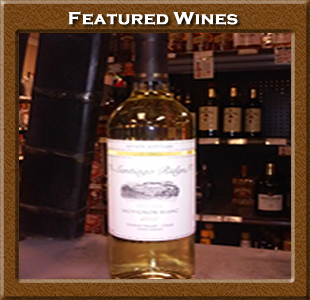 Taste the crisp fruity finish in this sauvignon blanc by Santiago Ridge! Made in the Curico Valley region of southern Chile, Santiago Ridge blends the nature of their grapes to produce a hearty bouquet & concentrated finish. Great for a party around the backyard grill, or for a more formal setting all summer long. Was $7.99, but for a limited time is only $5.75 as supplies last! 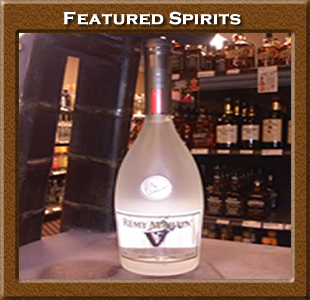 At once bold & sophisticated, Rémy Martin V is the premier 'eau-de-vie de vin' from the house of Rémy Martin. Born of legendary French vineyards, its grapes are distilled in the traditional manner in copper pot stills. On the rocks, it is vibrant and intricate. Mixed, it is the soul of any great and memorable cocktail. Experience the subtle hints of pear and fresh mint in this exquisite concoction for only $29.99! 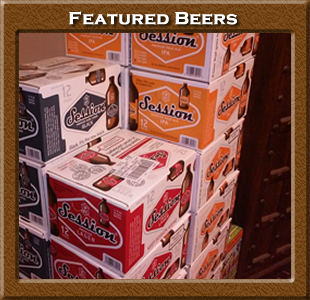 Try the smooth and totally refreshing taste of Session Premium Lager! Winner of multiple gold medals at the top national and international competitions. Session beer crosses boundaries, from blue collar to white, red state to blue, cocktail bar to Bar-B-Que. Taste the bold flavor of the Original, the dark roasty chocolate in the Black Lager, or their Malty IPA today! Any flavor 6-pack for only $11.99! Got a special request? Want to share your experience with us? Drop us a message anytime. We look forward to hearing from you.